I’ve been reading about how over-represented the private schools were in the Olympics. Everyone seems to think it’s a bit of a travesty that the Independent Schools produced such disproportionate results. 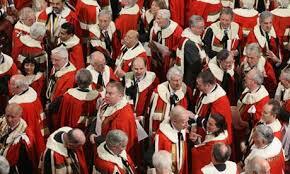 7% of the population are privately educated, but 38% of our medals were from this group of people. This, however, is a massive improvement on Beijing, where 50% of our medals were from that elite 7%. Personally, based on my own experience of having three sporty children, in state education, I think it’s a freakin’ miracle that the state schooled kids managed to win anything at all. I, like many parents, pay for sport outside of school. I don’t consider my son spending 20 minutes a week standing in a line, waiting for a go with a yellow plastic cricket bat, quite sporty enough. (They can’t use the wooden bats and stumps at my children’s primary school because of Health and Safety). They don’t have tennis courts, all weather pitches, hockey or, er, fencing, rowing, polo, skiing, 3-day eventing, skulling or dressage. I’ve brought it up with the PTA, but none of these have been introduced yet. They do swim for 8 weeks every year, where they spend 15 to 20 minutes a week in the local leisure centre pool. I, and other parents, often volunteer to teach – yep, top quality coaching is provided during those short sessions. And let’s remember we’re dealing with a group of thirty children in each class, compared to around twelve in private school classes. Martin Beckford a journalist with Telegraph wrote of the inequalities; “poorer families can’t spare the money to buy the latest trainers”. Which I think that proves he doesn’t know any poor people. (Surprisingly, journalism has an even higher intake from the privately educated at 54%). Lord Moynihan, the former head of the British Olympic committee. (That’s 4th Baron Moynihan who went to the prestigious Monmouth School. You know, the school with has a published annual income of £19,605,000. Sorry, I’m not sure if it’s state or private). Anyway, he’s an Olympic silver medalist himself. His suggestion to the government was that private schools share their sports fields with state primary schools, in exchange for the tax breaks private schools receive under “public benefit.” Yes, he meant they should actually provide some public benefit for a tax discount worth over £100,000,000 a year. I mean, just imagine if that tax alone went into the state school system? They could revolutionize state education, and like, buy enough texts books for an entire class. Or keep their own playing fields instead of selling them off to developers. Apparently, the private schools did best at shooting, no doubt having practiced on their private estates. State school kids who had practiced shooting on their estates, were (some say unfairly) not allowed out of their juvenile detention centres to compete.